Thank you for choosing Denali Pediatric Dentistry as your dental healthcare provider. We are committed to providing you with the highest standard of pediatric dental care. PAYMENT IS REQUIRED TO BE PAID IN FULL, AT TIME OF SERVICE.  This includes patients’ estimated portion not covered by an insurance company. If your insurance issues payment to the subscriber (rather than the provider, Denali Pediatric Dentistry), you will need to pay in full at time of service. We accept Cash, Checks, Visa, MasterCard, Care Credit (Care Credit offers 0% interest financing for 3, 6, and12 months). Our financial coordinator is available to discuss any questions regarding ways to help you with your financial considerations. It is your responsibility to have this conversation prior to receiving dental work. As a courtesy, Denali Pediatric Dentistry will assist you in filing your dental insurance. You are ultimately responsible for your total bill regardless of the outcome with your insurance company. We will not become involved in disputes between you and your insurance company regarding deductibles, covered charges & “usual and customary fees,” other than to provide factual information as necessary. At the end of 90 days from the date of service, if we have not received payment in full on your account, you will be required to pay the remaining balance. Please help us to serve you best by keeping your scheduled appointments. We require a 24 hour notice of any changes made for an appointment that is up to one hour in length, and a 48 hour notice of any changes for appointments that exceed one hour. It is important we receive this notice otherwise a CANCELLATION FEE will be charged to your account. The fee for up to a one hour appointment will be charged at a flat rate of $50.00. For appointments over one hour, the fee will be 20% of the total charge for the work scheduled. We are aware that at times there may be extenuating circumstances that will not allow the required notice. Either a parent or legal guardian must accompany anyone under 18 years of age. This person will be responsible for any payments. The parent or guardian must bring child to all appointments and remain in the clinic for the duration of their appointment.